The primary clinical and research focus of the Austin Health Precinct is in the area of Hepatobiliary and Pancreatic Surgery and Liver Transplantation. The clinical unit of the Department of Surgery is a leading tertiary referral centre for surgical diseases in HPB predominantly in the fields of pancreatic cancer and liver malignancy. In addition, surgical education is a cornerstone of the departmental philosophy, being the largest General Surgery training hub and delivering Masters programs in Surgical Education and Surgical Sciences. Educational Research is also gaining increasing importance within the departmental philosophy. 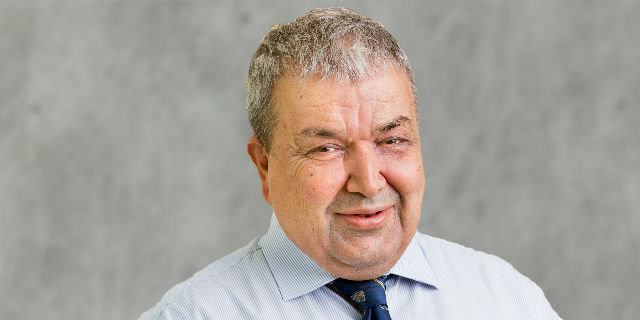 Professor Christopher Christophi is the Chair, The University of Melbourne, Department of Surgery at Austin Hospital. He is currently the Head of the Hepatobiliary and Transplant Unit and Chairman of the Division of Surgery, Austin Hospital, Melbourne. Positions held include: - Past president and current board member of the Australian and New Zealand Hepatic, Pancreatic and Biliary Association (ANZHPBA). He is on the Executive Council of the Asian Pacific Hepato-Pancreato-Biliary Association (HPBA) and Chairman of its Scientific Committee. Past positions have included Chair of Upper Gastrointestinal/Hepato-Pancreato-Biliary Section and Head of the Board in General Surgery, Royal Australasian College of Surgeons (RACS). His major research interests are in the field of Hepatopancreaticobiliary (HPB) disorders with a specific focus on colorectal liver metastases. 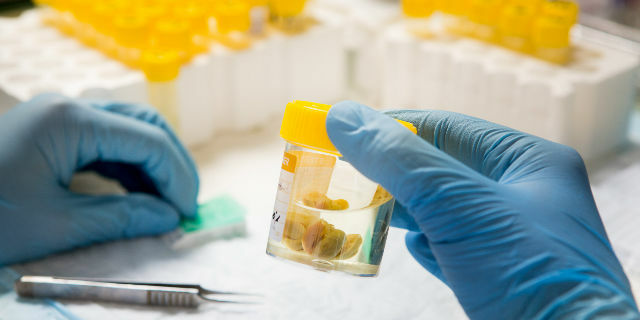 This research has been supported by several peer review grants including National Health and Medical Research Council (NHMRC), Cancer Council Victoria and Cancer Australia. He is co-director of the Graduate Studies in Surgical Education. He was awarded The Member of the Order of Australia (AM) “for service to medicine as a clinician, to medical education and as a researcher”. Further awards included the Hunterian Professor by the Royal College of Surgeons, England, and the John Mitchell Crouch Fellowship by the RACS. Research in the department encompasses basic science research, translational research and clinical research in liver and pancreatic malignancies, liver regeneration and liver transplantation. Tumour biology, novel biological therapies and molecular mechanisms for response assessment, liver regeneration and tumour growth inhibition are major areas of interest and expertise. Mr Michael Fink has research interests related to liver transplantation. These include optimising the use of donation after cardiac death donors, ex vivo perfusion of liver grafts, liver transplant waiting list mortality risk, organ allocation, post-transplant mortality risk and complications of liver transplantation. Associate Professor Vijayaragavan Muralidharan has a Masters of Surgical Education with a particular interest in teaching methods. He is the Supervisor of Surgical Training at Austin Health and coordinates a program for over 25 accredited trainees. His major research interests are in, circulating bio markers in organ health and prognostic parameters in surgery of colorectal liver metastases. Liver, Pancreas and Biliary Surgeon, Senior Lecturer on the Hepatic, Pancreatic and Biliary / Transplant unit. Associate Professor Mehrdad Nikfarjam has a major research interest in pancreatic cancer with a particular interest in underlying signaling mechanisms. His research focuses on the therapeutic efficacy of targeting pathways down-stream of K-ras mutations, particularly P21-Activated kinase (PAKs) in the treatment of pancreatic cancer. Dr Marcos Perini has a research interest in Biology of Colorectal Liver Metastases with a particular focus on the role of lymphatics in this disease. Professor of Surgical Education, Co-Director of the Graduate Studies in Surgical Education. Professor Debra Nestel's research interests include qualitative investigations of surgical education, professional identity formation, faculty development and simulation to support learning for professional practice. Dr Walsh’s interests are in exploring the potential benefits of combining promising inhibitors of angiogenesis and lymphogenesis to improve the potential efficacy of immunotherapies in the treatment of colorectal cancer metastases in liver. Dr He has been interested in the research area of signaling pathways in cancer cell growth and metastasis, and targeted therapy of cancer. She is among the pioneers of developing inhibitors of p21-activated kinase 1 (PAK1) for the treatment of Ras-driven cancers including colorectal and pancreatic cancers. Her discovery of the role of PAK1 in tumour immune response makes it attractive target in the combination treatment with immunotherapy. Research and education in The University of Melbourne Department of Surgery at Austin Health is supported by excellent facilities. The Department maintains its own research laboratories located in the Lance Townsend Building and in the Kronheimer Building at Austin Health. Students, supervisors and hospital personnel are co-located to facilitate interaction and collegiality. There is a new Bioresources facility for animal work, and the newly refurbished medical library. The department has a large lecture theatre and meeting rooms. Additional facilities are available in the Education Precinct of the Clinical School on level four of the Austin Tower. There are excellent laboratory facilities available for students within the Department of Surgery, including laboratories for tissue culture, FACS, fluorescence microscopy, histology, digital microscopy and image analysis, HPLC, molecular biology, radioimmunoassay, protein chemistry, Immunohistochemistry and cell transfections. 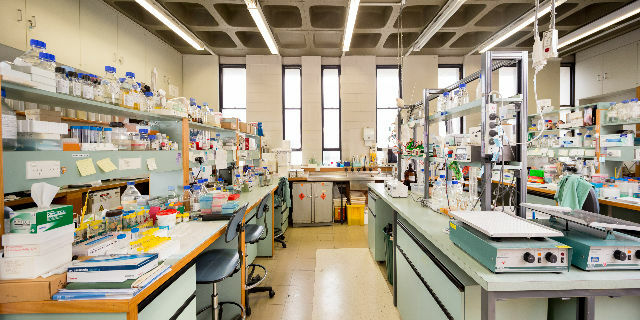 In addition, other equipment sited within laboratories in other departments are also available for students to use, including new platforms for analysis of biochemical interactions and peptide chemistry. 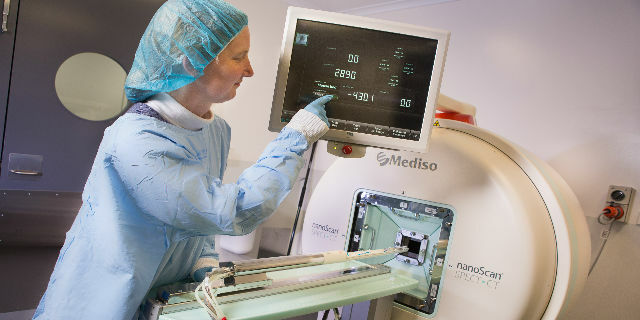 nanoScan® SPECT/CT - equipment used in collaboration with Olivia Newton-John Cancer Research Institute and ACRF Centre for Translational Cancer Theraeutics and Imaging.